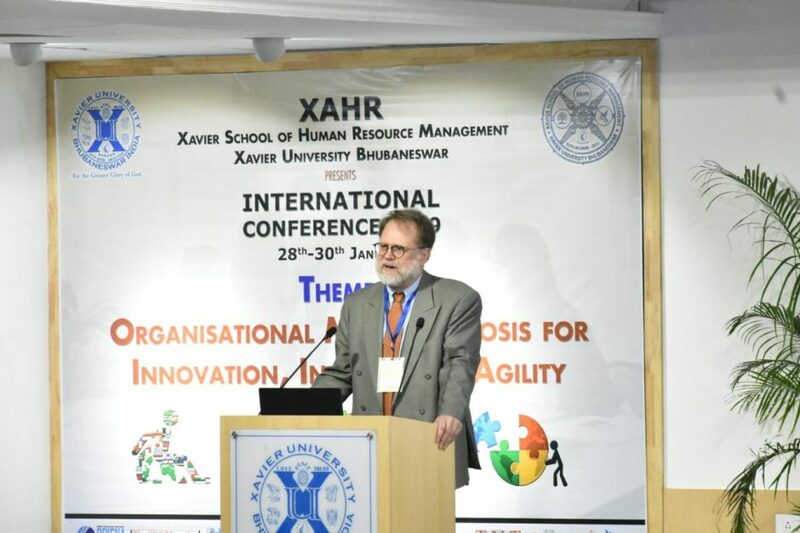 Xavier School of Human Resource Management (XAHR) held an International Conference on the theme ‘Organisational Metamorphosis for Innovation, Inclusion and Agility’, on 28th-30th January, 2019 in the Xavier City Campus, the new campus of XUB. 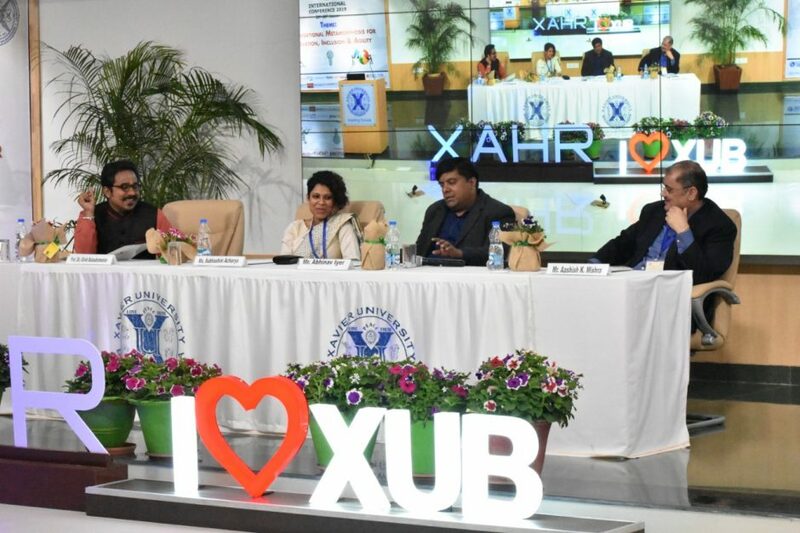 The event witnessed the participation of various stakeholders of the Xavier fraternity, as well as stalwarts from the Human Resource Fraternity. The three-day event was graced by eminent speakers from academia and various industries in the domain of Human Resource. 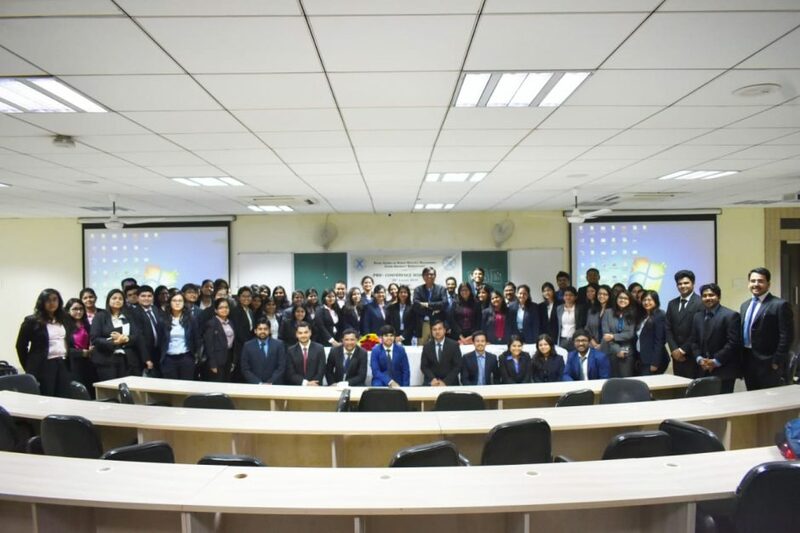 On Day 1, Prof. Arup Varma (Quinlan School of Business, Loyola University, Chicago) conducted a pre-conference workshop on the theme, “Diversity and Inclusion: Bridging the Library – Boardroom Divide”. The second day of the International HR Conference started with the keynote session which was graced by the presence of Dr. Fr. 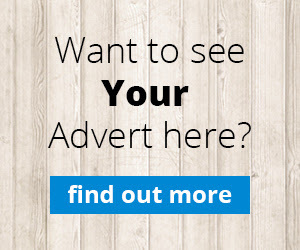 Paul Fernandes, S.J. (Vice Chancellor & Director, XUB), Dr. Snigdha Pattnaik (Dean, XAHR), Prof. Arup Varma and Prof. Sanket Sunand Dash (Assistant Professor, XAHR). After inaugurating the session, Dr. Pattnaik and Dr. Fr. Paul Fernandes addressed the gathering on the importance of organizational coexistence and reinvention, and shared their understanding of creating space for metamorphosis, in line with the theme for the conference, “Organizational Metamorphosis for Innovation, Inclusion, & Agility”. 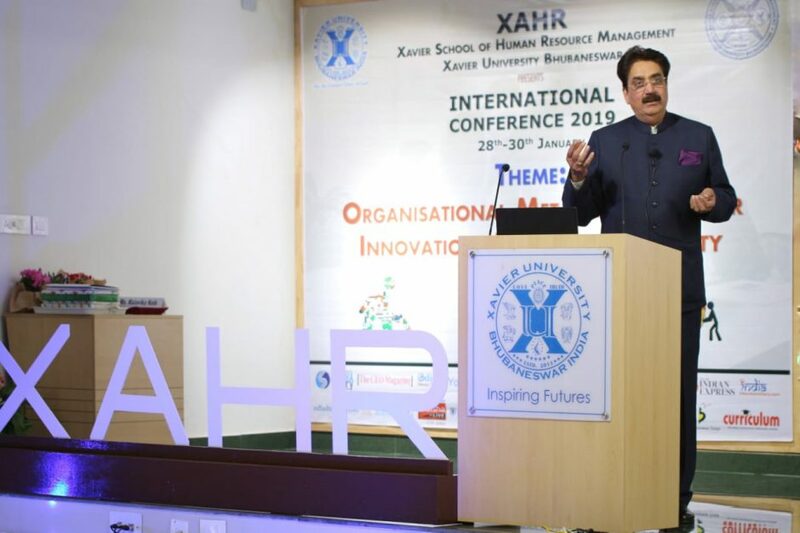 Prof. Varma in his keynote address stated how despite changes in the external environment, organizations cannot replace the HR function, as in the end, it is people management. The session ended with a vote of thanks from Prof. Sanket Sunand Dash. The first session on Day 2 witnessed Dr. BB Mohanty (HOD (retd.) PM&IR, Utkal University), Dr. Aquil Busrai (CEO, Aquil Busrai Consulting) and Dr. Tania S Rath (Assistant Professor, XAHR) discussing the theme – ‘Inclusion. The session was, moderated by Dr. GP Rao (Founder and Managing Partner, Good People Relations LLP). Dr. Rao started the session by pointing out to various factors like VUCA, disruptive technology, social changes and the entry of millennials into the workforce that were causing an impact in today’s organization, and mentioned that Collaborative Work design is the key. Dr. Tania raised the question as to why would ‘care’ work not be considered as part of the productive work and be left out of consideration in many domains. Mr. Aquil B stressed that exclusivity is something that happens sub-consciously and we being aware of the same, must work consciously to overcome it. Dr. Mohanty stressed on two dimensions to be considered while bringing change in the organization namely Personal Dimension and Organizational Culture and stressed on Executive support and leadership, Communication and Involvement as the important things needed to bring about inclusion in the organization. The second session was addressed by Mr. Rajeev Bhadauria (Group Director HR, Jindal Steel & Power Ltd.) wherein he shared that technological advancements change governance, climate, and geopolitical norms and insisted on utilizing self-propelled inspiration as a replacement for motivation. The third session on Day 2 of the International HR Conference at Xavier School of Human Resource Management (XAHR), Xavier University, Bhubaneswar (XUB), witnessed Mr. Pradeep Dasan (VP & Head – Talent Acquisition and Talent Management, Nayara Energy Ltd.), Dr. GP Rao (Founder and Managing Partner, Good People Relations LLP) and Ms. Malvika Naik (Former GM – HR, IOCL) discussing the theme ‘Agility’, moderated by Prof. (Dr.) Arup Roy Chaudhury (Assistant Professor, XAHR). Mr. GP Rao, the first speaker for the session described agile organizations as ones that go through creative destruction to remove incumbent practices in order to welcome changes and identified an agile workforce as one which is more receptive to learning and feedback. Ms. Naik, who took the podium next, stressed on organizations being receptive to cross-functional and multidisciplinary change and expertly stated out the difference that while change is fixed, transformation creates the future. The final speaker for the day, Mr. Dasan shared that his organization has adapted to the demands of the environment, and rejects candidates who do not exhibit agility. He acknowledged the role of the youth in being harbingers of change. Prof. Roy Choudhury encouraged students and academicians to keep themselves updated with applications of concepts and stretching the boundaries of his courses. The first session of the third day was a plenary address by Dr. Paul Hempel (Professor at City University of Hong Kong). He commented at the appearance of the western models of innovation as being useful at the structural level, whereas considerable adaptation is required at the implementation practical level in non- western context. This valuable address was followed by Paper Presentations by research scholars and students of MBA HRM course. The next event was a panel discussion moderated by Prof. Girish Balasubramaniam wherein he asked the panel to elucidate on the models of innovation and how does innovation take place. Ms. Subhashini Acharya, (Learning Leader – R&D India, Schneider Electric) gave her viewpoint on the need for leveraging different resources and depending on others for innovation. Mr. Iyer spoke on the importance of the purpose for innovation in an organisation and further laid stress that it needs to be focussed and in tandem with the industrial structure. Mr. Mishra shared his experience in the industry as he emphasised on innovating internally in an organization, for there are no separate Research and Department work in the IT sector. The Valedictory session began with Fr. E.A Augustine S.J (Registrar, XUB) addressing the audience on the need for organisations to be more innovative, rather than being shaped by it. The Chief Guest, Ms. Praveena Kala (CGM, SBI) in her address suggested that “change is the only constant and only those organisations survive which learn to live with change”. The session ended with Prof. Dr. Andrew Dutta proposing the vote of thanks, thereby marking the end of the International Conference.